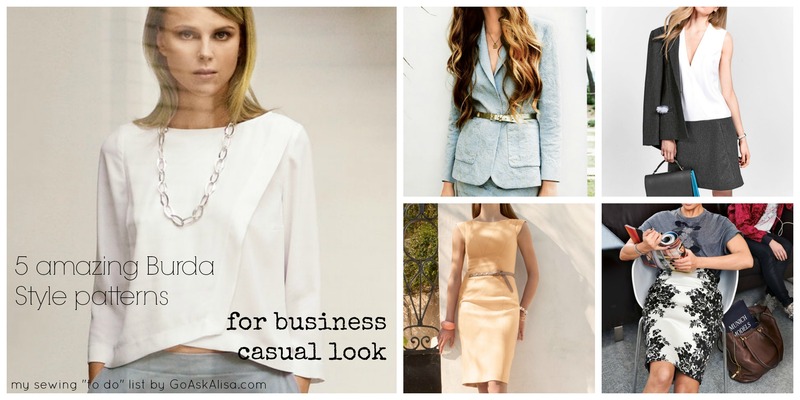 Sewing Burda: Two tone Wrap Blouse – Go ask Alisa – DIY capsule wardrobe one stitch at a time! Sewing is fun! As soon as it stops being fun you should as yourself “why am I doing this?”. So far, I don’t need to ask myself anything – I am having a lot of fun. More and more with every new outfit sewn. Recently I put together my sewing “to do list” and set myself a deadline to complete 5 garments by Sept 30th! Well, I should say I am on the right track, since my first and favorite piece is already sewn and ready to wear – WRAP BLOUSE! I love this pattern, in fact I already made another semi-sheer wrap blouse, that would be best to wear as an evening piece. 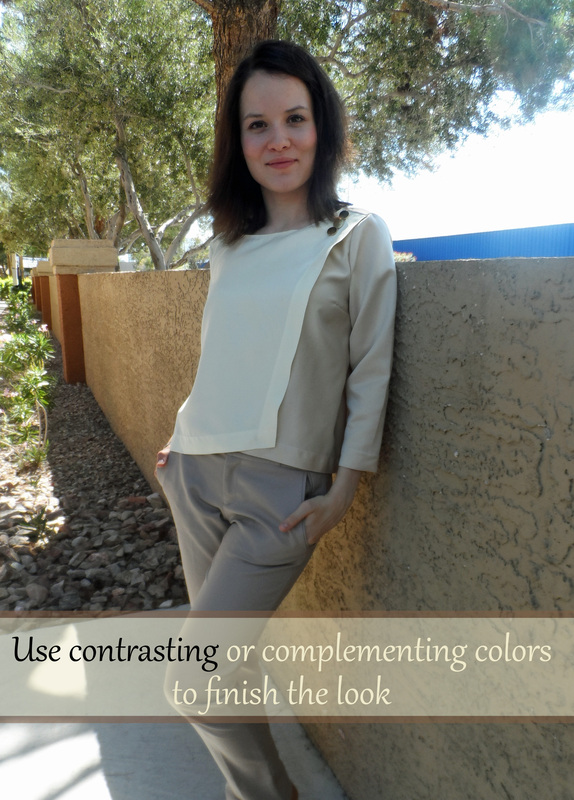 I admit, this blouse might be a little boxy, but it really depends on your body complexion. It sits a little stiff on me, but I like it. The design really compensates for that, plus it is a little shorter than usually a blouse would be. Plus, I chose to play around with different colors and chose to do the top layer in cream beige, on bottom in caramel brown. I added 3 golden buttons to finish the look and to add an interesting touch. I really enjoyed this pattern, it had no need in modifying which is always like a Christmas morning for me 🙂 So, what do you think? Ohh thanks, how nice of you. The seams are really neat! This is lovely: love the buttons! 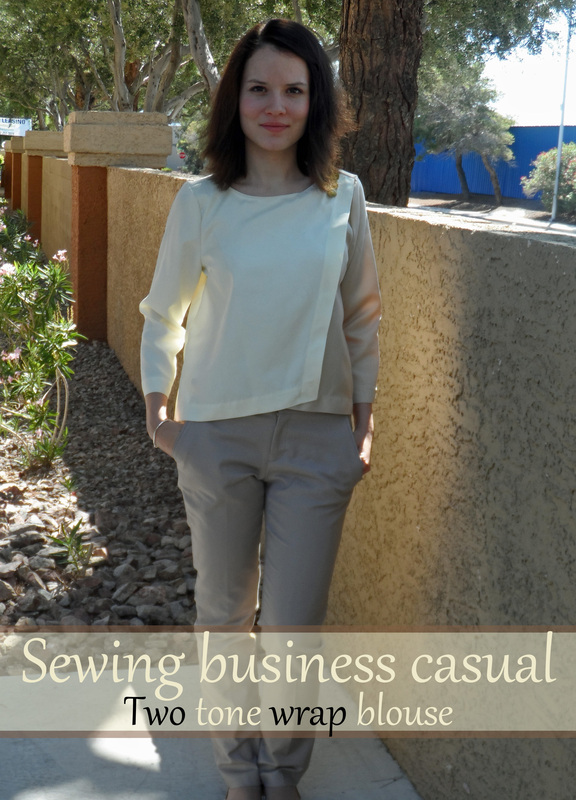 Previous Previous post: Sew it up: 1 skirt – 4 outfits!